Ghost towns are towns or villages that have been abandoned by their original inhabitants, either due to a natural disaster, such as an earthquake or landslide, or for economic, demographic, environmental or structural reasons. These reasons can be the lack of modern conveniences, the obsolescence of the local economic activity (mining), the construction of new roads and railways that bypass the original town, the depletion of natural resources or simply due to the dwindling of an elderly population. 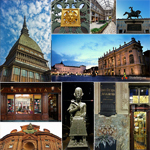 Often the original city has been moved to a nearby site, while the ruins of the ghost cities have been given a second life as artist colonies, or as refuges for squatters and (illegal) immigrants. 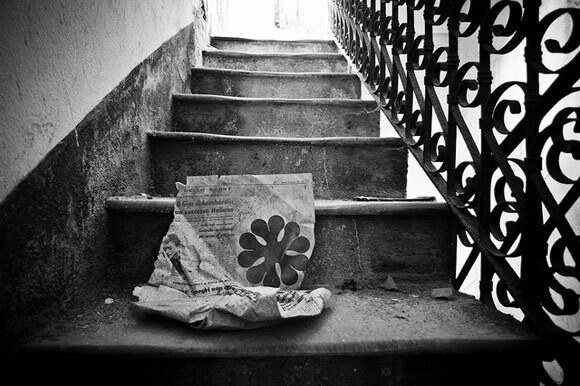 What is particularly intriguing and compelling is that many of them seem to have been left untouched, as if abandoned almost overnight, often leaving evidence of a past that seems to have been frozen in time. 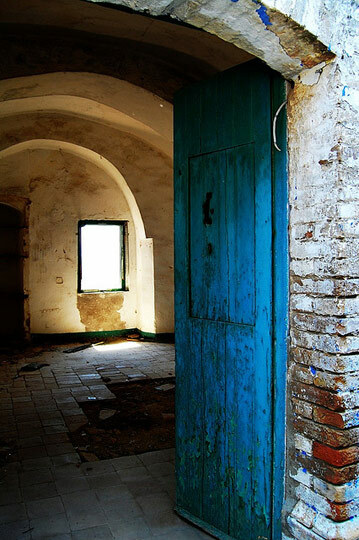 In Italy, a large concentration of these abandoned small villages can be found in the impoverished and seismically active portions of the Southern regions, but there are also ghost towns in Liguria, Emilia Romagna, Tuscany and Lazio. 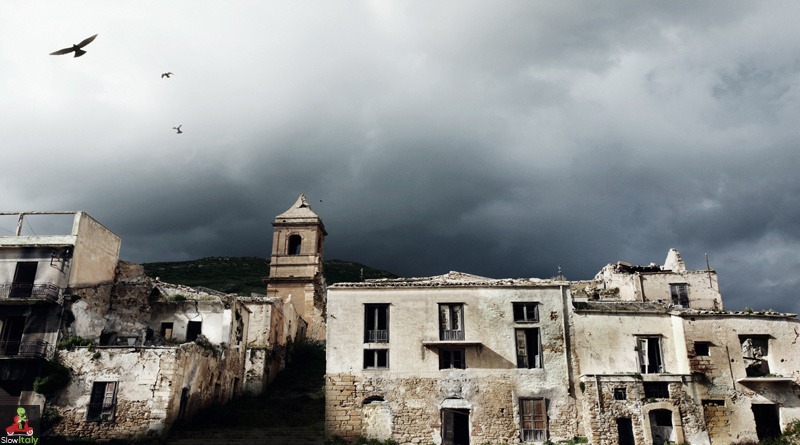 Below are some of the most intriguing Italian Ghost towns (in alphabetical order per region). Most of them can be visited. Poor farming, added to earthquakes, landslides, and war, all contributed to a mass migration of Craco’s population to North America between 1892 and 1922. 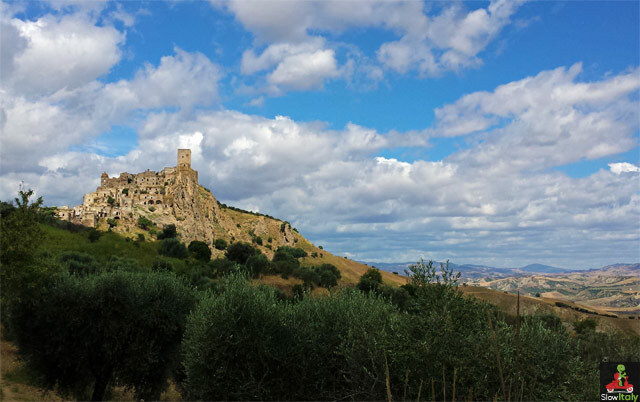 In 1963 a landslide caused the evacuation of the remaining 1,800 inhabitants to a nearby valley called Craco Peschiera, while the original Craco remained in a state of crumbling decay. 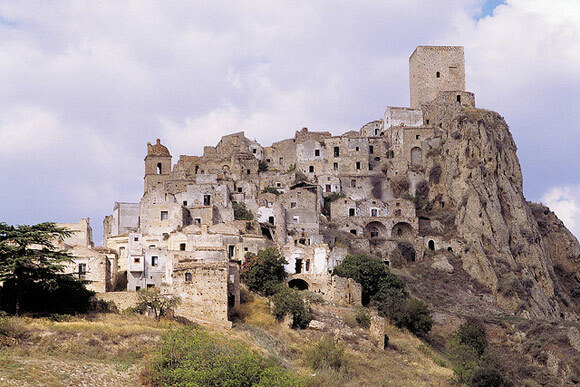 Craco has since remained untouched, offering the rare sight of a true ghost town, with its deserted streets and houses that were left exactly as they were inside, as if it was abandoned overnight. 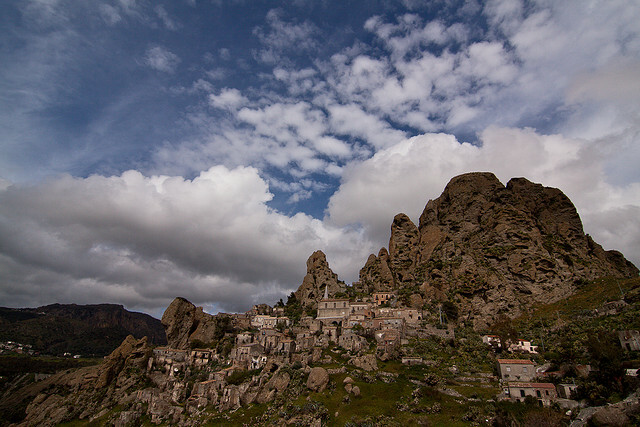 Pentedattilo is a ghost town on the Monte Calvario, whose five strange pinnacles resemble that of five fingers, hence its name “five fingers” from the Greek penta + daktylos. The town was founded as a colony of the Greek city of Chalcis, in 640 BC, but was sacked by the Saracens and successive invaders. After a renewed time of prosperity the town was severely damaged by an earthquake in 1783, which caused much of the population to migrate to the nearby Melito Porto Salvo. 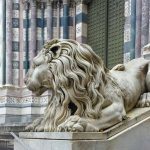 It remained totally uninhabited from the mid-1960 to the 1980s, when it was partially restored and repopulated thanks to volunteers coming from all over Europe, who help rebuild the streets and restore the houses. 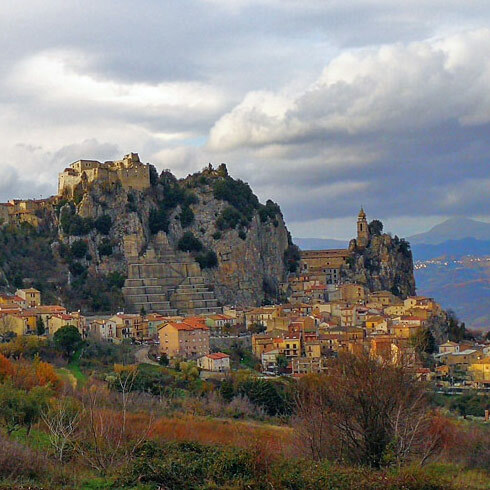 The village of Romagnano al Monte in the province of Salerno was destroyed in the Irpinia earthquake of 1980 and rebuilt a few kilometers away. 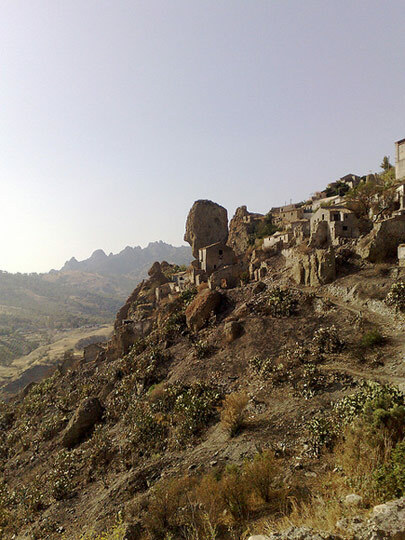 The ghost town became a tourist attraction in the early 2000s almost like the other one in the same province: Roscigno Vecchia (see below). The small town of Roscigno in the province of Salerno is divided into Roscigno Nuova (“New Roscigno”, simply referred as Roscigno) and Roscigno Vecchia (Old Roscigno). The latter is 1,5 km away from the new town and completely abandoned since the early 20th century, when the population moved to Roscigno Nuovo due to a landslide. The ghost town became an eco-museum in the beginning of the 2000s. Tocco Caudio is a village in the province of Benevento that was abandoned after a series of earthquakes in 1980 and 1981, which almost entirely destroyed the old Tocco Caudio. Rather than rebuilding the historic town, the citizens were forced to completely abandon it and resettle around the ridge. 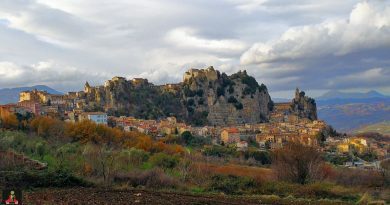 Today, there are essentialy two Tocco Caudios: an empty old town and a new town located higher up in a location called Friuni. Gattara is a frazione in the comune of Casteldelci, in the province of Rimini. A peculiarity of this village is that until 2009 it belonged to the Marche region, until is was separated together with six other comunes and joined to the Emilia Romagna region. 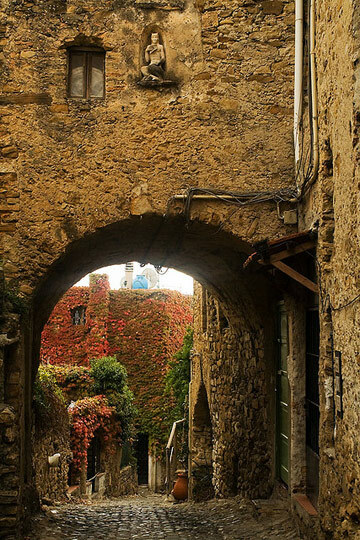 The village of Celleno is located in the Province of Viterbo at about 80 km northwest of Rome and about 15 km north of Viterbo. 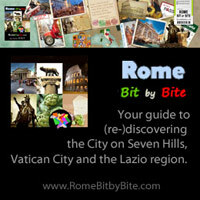 The origins of the village are unclear, but it was probably founded by the Etruscans. 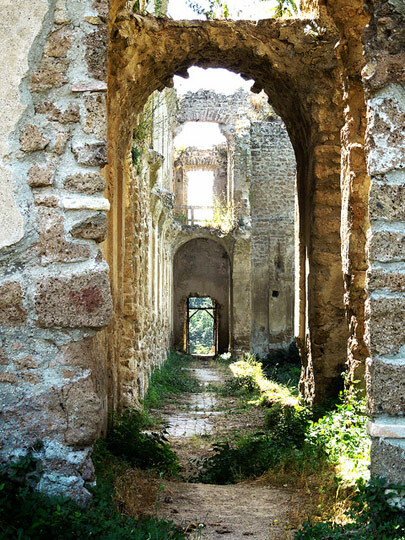 The “ghost town” of Monterano, located close to Canale Monterano and lake Bracciano at about 50 km from Rome, is now part of a large nature reserve, famous for its surreal atmosphere and beauty. 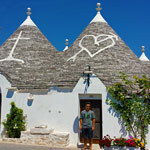 It served as a set for famous movies such as “Ben Hur” or “Brancaleone alle crociate”. 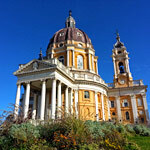 Church San Bonaventura, designed by Gian Lorenzo Bernini and built by Mattia de Rossi in the 17th century. In 1799 the assault of the French troops put an end to the history of the town that was also plagued by malaria. 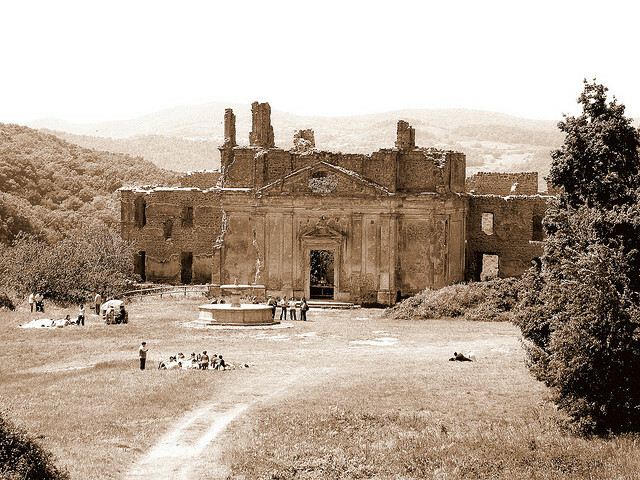 The inhabitants moved to the nearby towns of Canale Monterano and Montevirginio. 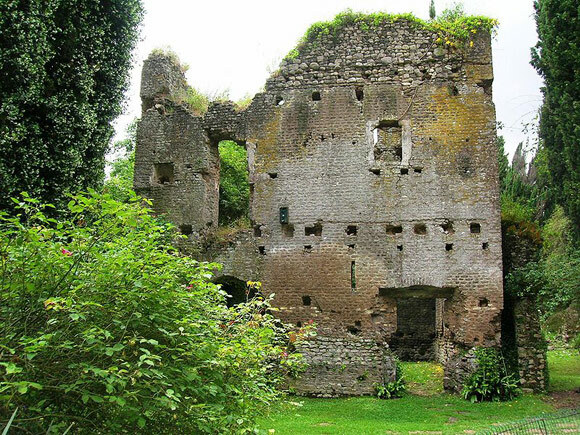 Ruins of a house in Ninfa. 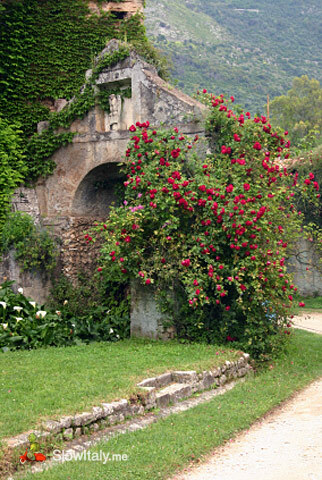 Ninfa is a deserted and overgrown ghost town, presumably founded by the Volscians, that is now an English style botanical garden. 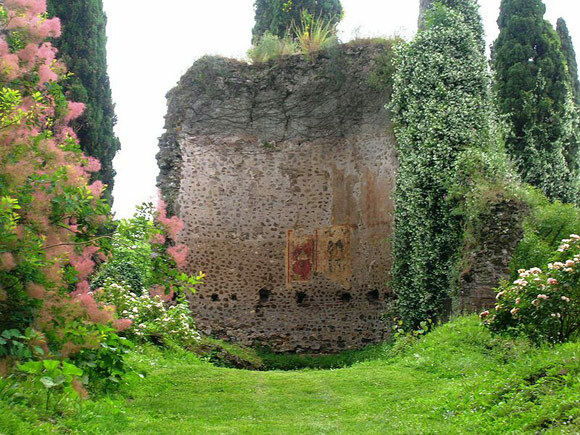 It was once a prosperous town on the Appian way that thrived for 600 years between the 8th and 14th century within a double walled fortification. It was destroyed a first time by order of the Emperor Frederick Barbarossa, after his enemy Pope Alexander III had taken refuge in the town. 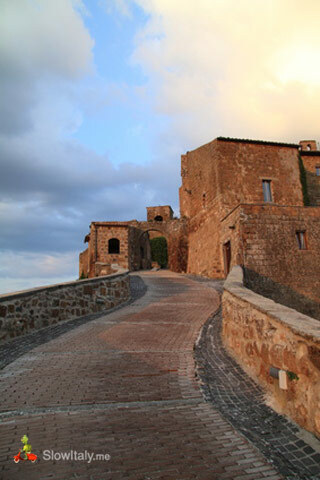 In 1297 a noble family, the Caetani, purchased the fortified town, after which the town was repopulated. However, in the 16th century it was again abandoned due the arrival of malaria. The original village disappeared overgrown by wild plants and bushes, until it was renewed in the 20th century in the English garden style. 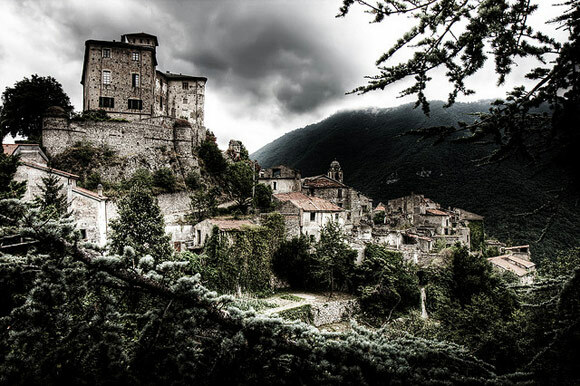 Of all the ghost towns in Italy Balestrino is probably the most mysterious one. It is not quite certain when the town was founded, nor exactly what happened and why it is was abandoned. However, one of the earth quakes that struck the region in 1887 coincides with a drop in population, so that may be a plausible explanation. Before the earthquake that the population amounted to 800-850 inhabitants, mainly farmers. In 1953 the town was completely abandoned due to ‘geological instabilility’. The remaining inhabitants (about 400) were moved to a safer area to the west of the original town. 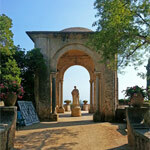 Since then what is left of Balestrino that has stood untouched, as if it had been frozen in time. 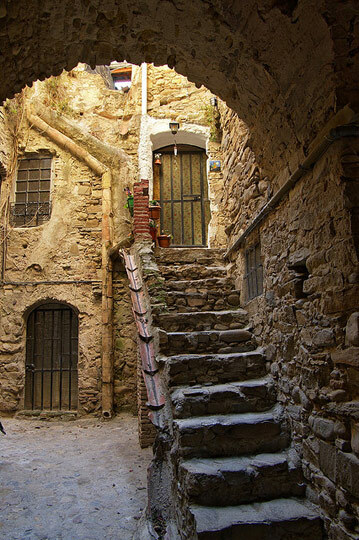 Bussana Vecchia is a 1,000 year old ghost town near San Remo (Province of Imperia, region of Liguria) destroyed in 1887 by a severe earthquake and now inhabited by artists. The earthquake was the first ever recorded by a true seismograph. 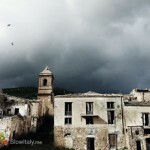 As most buildings were severely damaged, the old village was abandoned and declared unsafe and the authorities decided to rebuild the village further downhill in a site called Bussana Nuova (New Bussana). 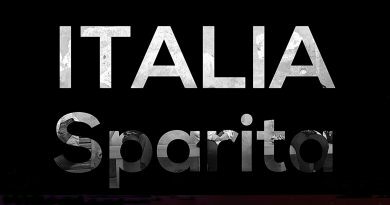 In 1947 immigrants from Southern Italy started to illegally occupy the ghost town. 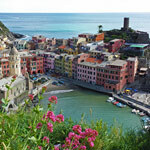 A few forced evictions by the Italian Police followed in the 1950s. 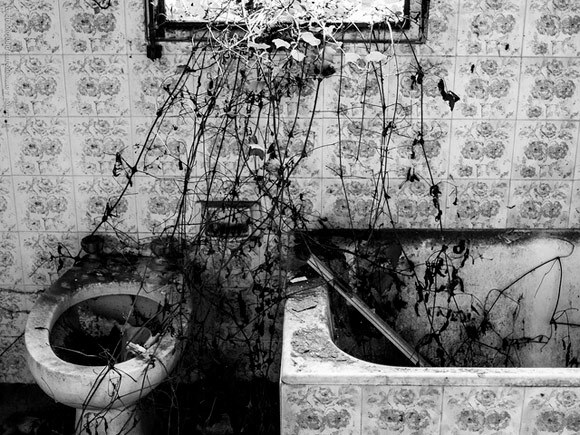 To prevent people from coming back, the authorities ordered the destruction of all first floor stairways and rooftops. 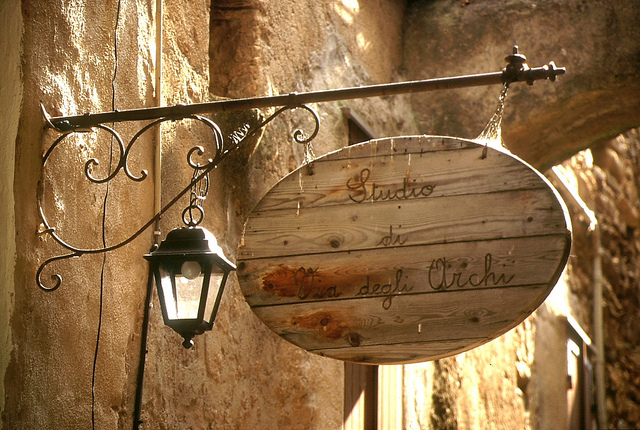 However, in the early 1960s, a group of artists, the Community of International Artists decided to move to Bussana Vecchia. Their idea was to prove for themselves that they were able to live in a simple way and sustain themselves thanks to their artistic work. While there was no electricity, tap water or sanitation, the new community of inhabitants started settling in and restoring the village. They were mostly hippie artists coming from all over Europe (Italian, Austrian, English, French, Danish, German and Swedish). Over the years the community grow from the small original nucleus to a population of about twenty to thirty people by 1968. They changed their name into International Artists Village and despite periodical confrontation with the authorities (the latest eviction order was issued in 1997 when all buildings were declared property of the Italian Government), their members are still living there, organizing artistic events and selling their crafts work to tourists. 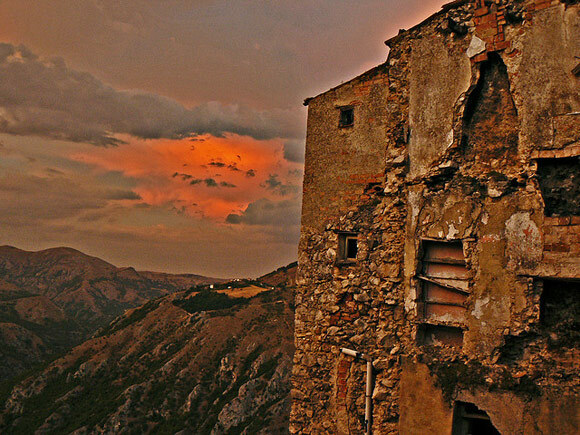 The ghost town of Argentiera, a former mining frazione (hamlet), located in a narrow valley in the comune of Sassari, was slowly abandonned after the mine closed in 1963. Poggioreale, Sicily. Photo © Peeterv/Istockphoto. Poggioreale, a small town located in the Belice valley, was destroyed by the Belice Valley earthquake in 1968, and eventually rebuilt in a safer place a few kilometers away, causing the entire population to be moved there. 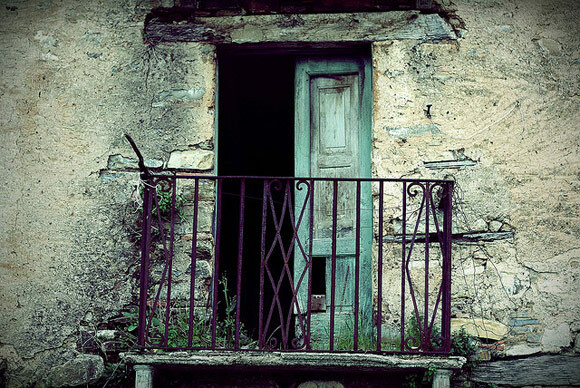 Castelnuovo is a ghost town in the province of Arezzo. The history of the town is linked to the coal mining activity, which served to supply the local power plant. 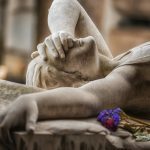 In 1944, during World War II, the Tuscan village of Sant’Anna di Stazzema was the site of a notorious atrocity, the Sant’Anna di Stazzema massacre. The village was only partially rebuilt after the war. Since 2000, it has been the site of the Italian National Park of Peace (Parco Nazionalle dela Pace) where a memorial to the victims has been erected. The former primary school of the village has been transformed into a museum dedicated to the massacre. 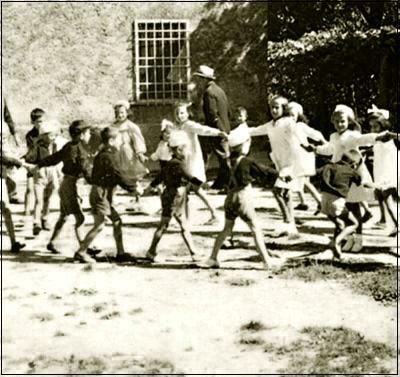 Sant’Anna di Stazzema a few hours before the massacre in 1944. 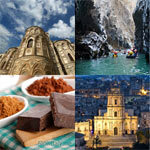 Photo credits (from top to bottom): Featured photo: Poggioreale © Peeterv/Istock; Craco by Basilicata Turistica and Slackmass. 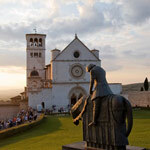 Pentedattilo by Filippo Parisi aka LUPO and Dafydyke; Romagnano by Alebonvini/Flickr; Roscigno Vecchia by Alina; Celleno Vecchia © Immaginilibere/Fotolia; Monterano by gengish and Lidivien; Balestrino by bluestardrop – Andrea and Mirko Isaia (newspaper); Bussana Vecchia by funadium/flickr, bliyrskel and –www.alessandrocorona.com-; Argentiera by wiseguy71; Castelnuovo dei Sabbioni by torremountain; Giardino di Ninfa by Mentnafunangann (1 & 2), © NYPhotoboy/Istock (3); Sant’Anna di Stazzema by direfarebaciare_le_immagini. This was very interesting and good to know for genealogists ! 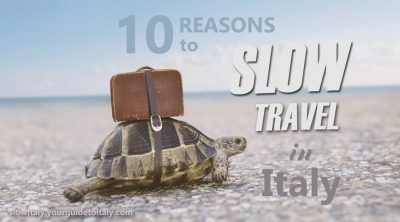 Slow Italy always has such great articles ! Thank you Debora !! I am so glad you like our articles ! 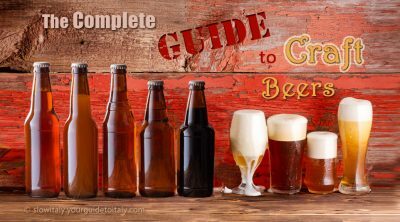 This was a very interesting article. I really enjoyed it! Keep them coming! 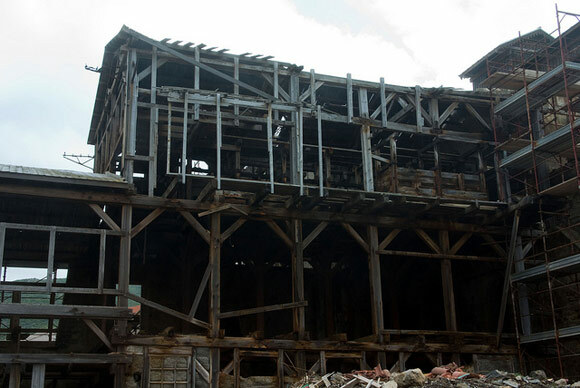 Wonderful – I’d love to know and see more about these little ghost towns. 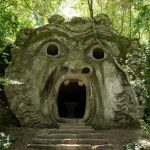 The “giardino di Ninfa” is not in tuscany, but in lazio, near Latina!